Last spring, I had the pleasure of visiting Bodegas Aguirre Winery for the first time. Obligatory disclaimer: This was an invitation extended to media, and thus, free to me. Located in the Livermore Valley, which is a historic Californian wine region, Bodegas Aguirre is the passion project of cardiac surgeon Ricardo Aguirre. Dr. Aguirre, L, with Dale Virgil, who works with the winery. 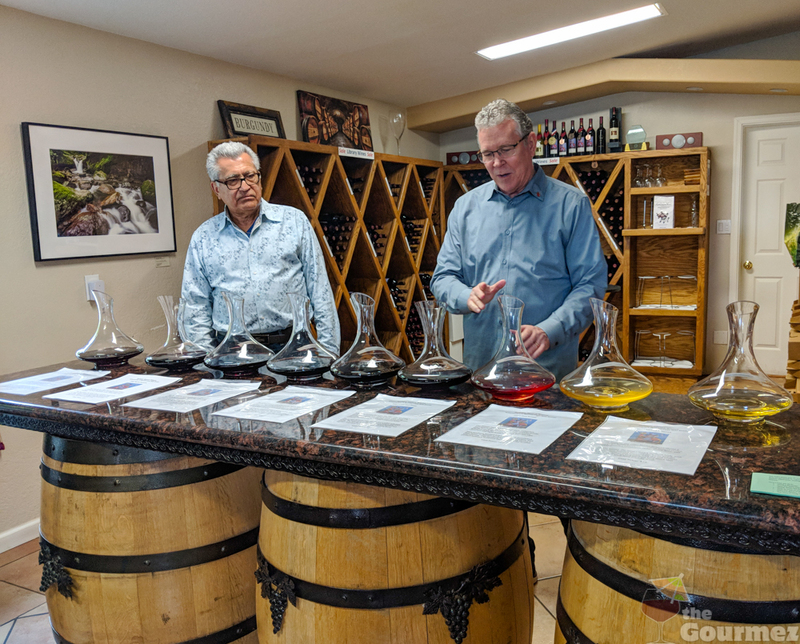 Dr. Aguirre purchased his first 30 acres in 1986, began planting in 1996, and produced his first vintage in 2000, just a single barrel of a red wine blend. The vineyards right outside the tasting room, on a rainy day. From there, Aguirre’s passion only grew, and the winery has an amazing selection of the many wines he’s produced since then. It includes red and white single varietal wines, port-style wines, and three main red wine blends: the Duo Classico, the Trio, and the Castello Novo. Bodegas Aguirre has also recently added a 50/50 blend of chardonnay and semillion. 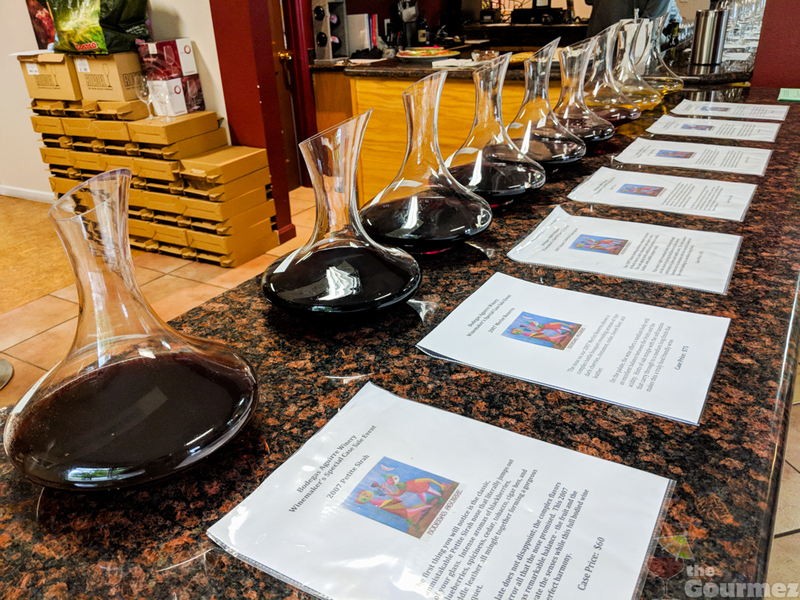 I, and a few fellow wine writers, was treated to a tasting of their library wines along with current releases from Bodegas Aguirre. The winery’s philosophy is “to produce handcrafted wines with softly integrated tannins to be enjoyed young or save in your wine cellar to continue to develop gracefully in the bottle. We strive for wines of balance, wines of interest, and wines that will excite your taste buds.” For me, they’ve certainly succeeded at that, especially in terms of interest and drinkability now. The oldest wines we sampled were a 2001 field blend and a 2002 Estate Merlot. 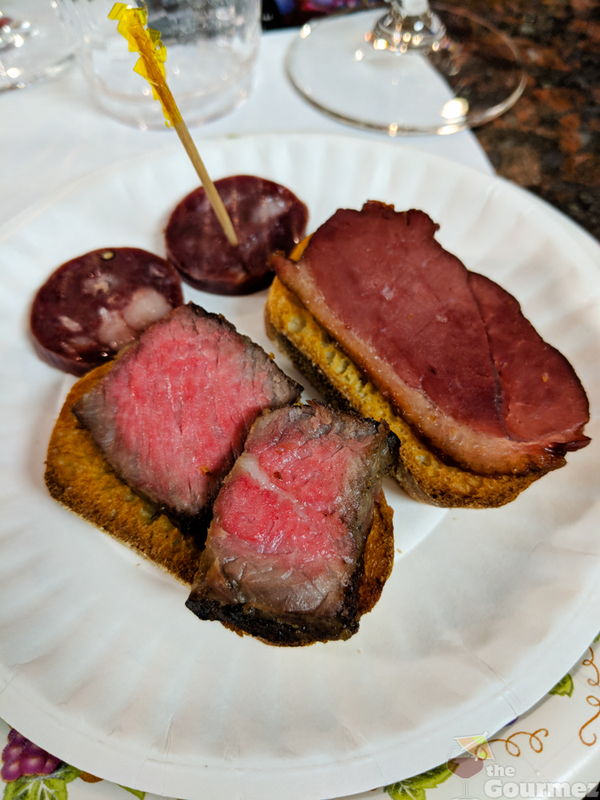 Both went smashingly with a paired plate of smoked duck breast, duck salami, and ribeye. But my favorite of Aguirre’s library wines was assuredly the 2004 Estate Petite Sirah (5/5). It may have been my favorite of the day. It drank like pepper, lavender, and cardamom had ribboned through a bright, gourmet, dark chocolate bar. Restrained blackberry and dark cherry gave them plenty of room to play. Pictured: Not quite the right vintage of petite syrah. That petite sirah was matched by the current release of Estate Cabernet Sauvignon Reserve 2013 (5/5). The cabernet smelled of brisket or a steak worth salivating over. Ripe rainier and red cherries blended with elderberry, cedar, vanilla, oak, and eucalyptus. 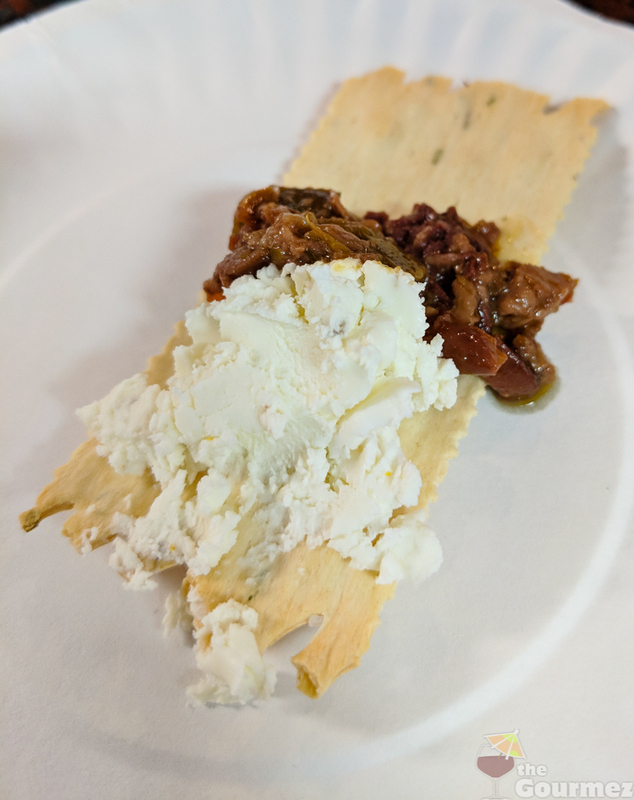 Beef seemed a natural pairing, but it also begged for cheese. White wine grapes came later to Bodegas Aguirre’s repertoire—their first chardonnay was made in 2007. 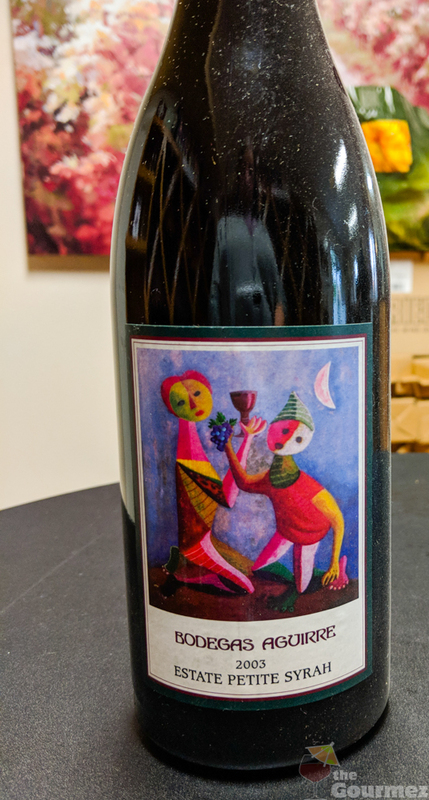 But I can vouch, via the 2017 Bodegas Aguirre Chardonnay (4.5/5), that these wines have benefited extensively from Aguirre’s previous experience. The 2017 Chardonnay has great acidity with pepper that pops in the mouth. Dry with slight notes of poached pear. Goes great with smoked salmon, as you can see. 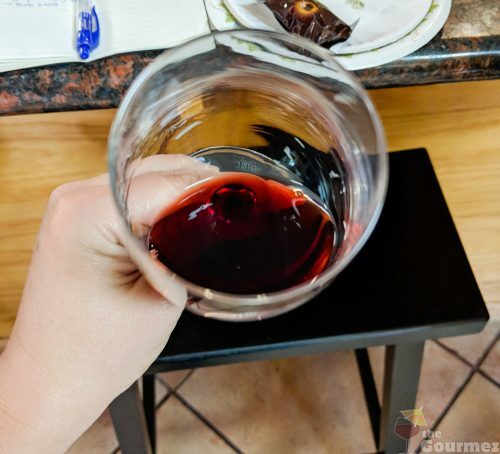 I’m not a big wine buyer, despite the testimony of this blog to the contrary. But I could not pass up the great sale prices Bodegas Aguirre was running for its library wines and wine cases. I went home with a case of their 2007 Estate Trio, which has been a great everyday wine in the months since, with proper airing. 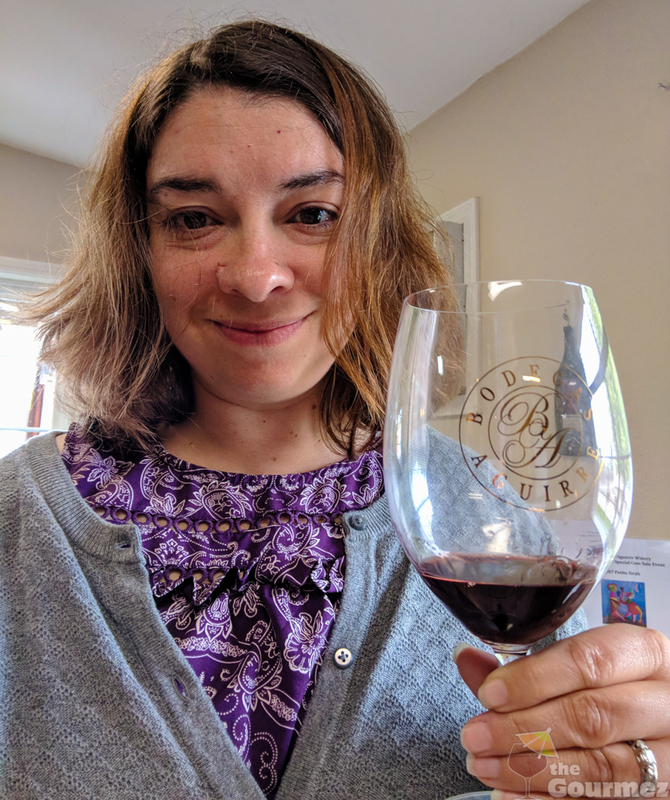 I also selected a 2007 cabernet franc, one of the few varietals we did not taste that day, and a 2003 and 2009 petite sirah for comparison’s sake with my memory of that glorious 2004. I’d have bought plenty of the 2004 petite sirah if it were available, believe me. 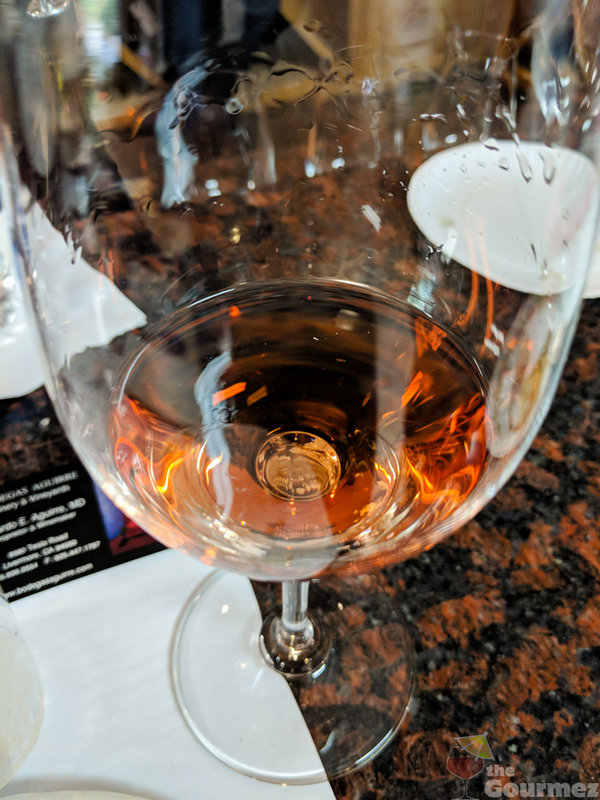 For the record, my compatriots all loved the 2017 Bodegas Sylvia Rosé and were crestfallen that it had not yet been released. But it has now! So if you’re a rosé lover, you may want to check it out. It just wasn’t a preferred style of rosé for me. Visit the tasting room to purchase. 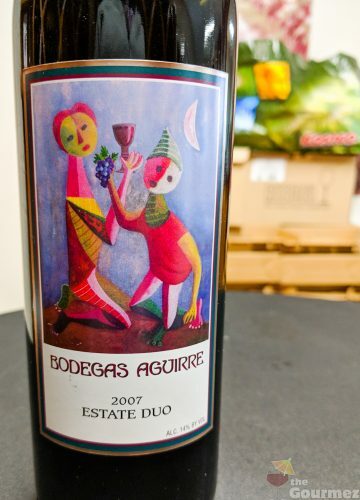 The artwork that adorns each Bodegas Aguirre bottle comes from El Salvador’s Carlos Caña, a painter. They feature an artist-approved adaption of the work “Children Playing with Balls” and provide a distinctive look. 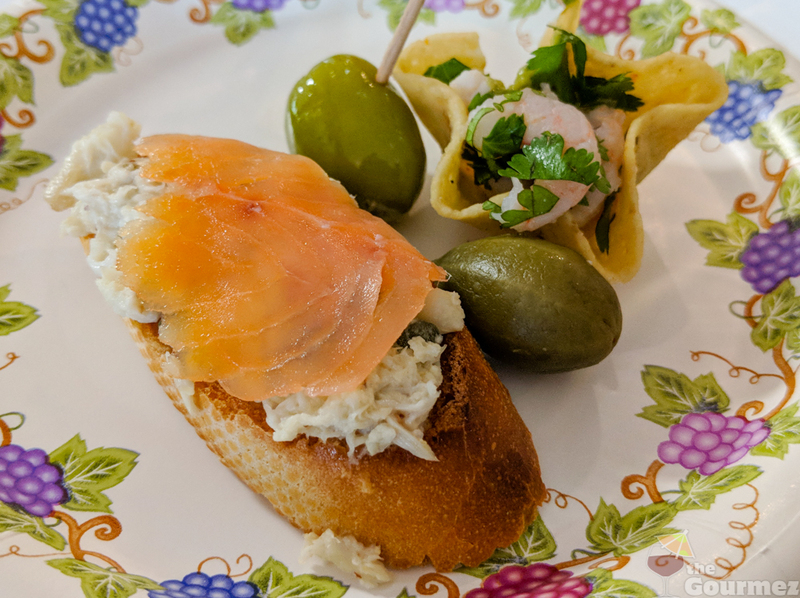 Bodegas Aguirre does not currently offer wine pairing options for a regular visit, though I’ve encouraged them to after our experience with their delightful appetizer selections. But the winery is eager and able to plan food for special events. 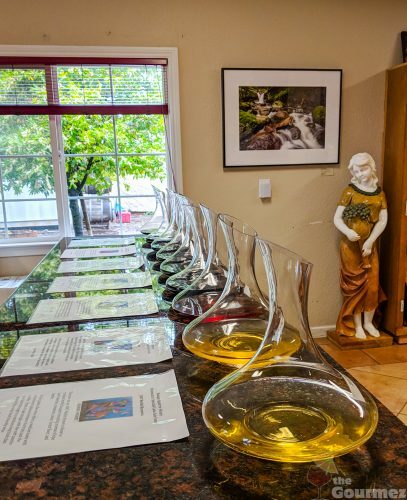 The tasting room is open to the public on weekends between 12 pm and 4:30 pm. For $10, explore five Bodegas Aguirre current releases and likely a dessert wine. Don’t forget to grab some of the library wines on your way out, often on sale, for a fun surprise when you open them later at home! Great write-up on Bodegas Aguirre! I enjoyed the wines so much I started to work there one day a month. Thank you on target article and well written. Can’t get a better testimony than that! Love ’em so much, you’re willing to break a sweat for them. Love it!